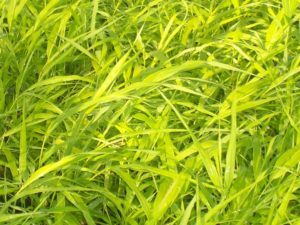 A small, ornamental grass native to the wet, rocky cliffs of Japan’s Honshu Island, including the area around Mount Hakone, after which the species is named. 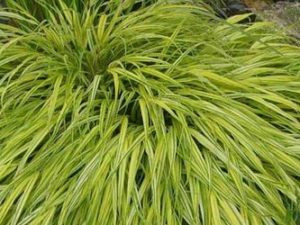 It is a slow spreading, semi-evergreen grass which builds into gently cascading mounts of bright green that are useful as a simple under storey to light shrubs and as a soft edging to paths or steps. 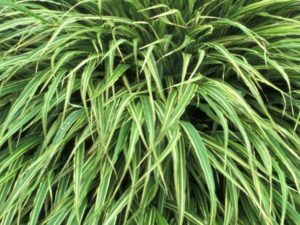 Fine, light sprays of lime green flowers appear during June and July, giving a billowing lightness to planted drifts. 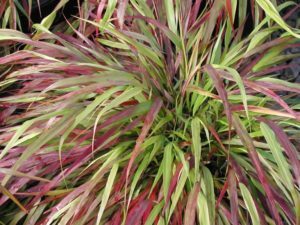 The clean, minimalist style of this grass makes it a good choice for formal courtyards or in minimalist urban planters and the fresh green foliage gradually acquires rich russet tones as autumn advances.